Table MT-1 is a table for working. However you want to work, it works. It’s long enough to accommodate a wide variety of activities and equipment on a single surface. It’s narrow enough so that everything—and everybody—is always within reach. 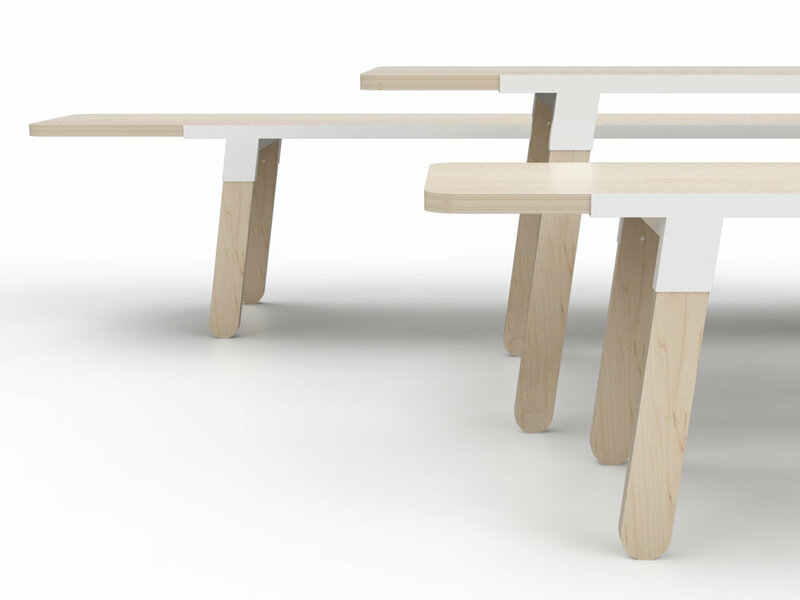 The tables currently come in 3 sizes and 2 height variations (desk height and counter height) in order to address various daily functional needs and correct balance with the chosen interior work landscape. The MT Series consists of 3 size formats: 144"x30"x30", 84"x30"x30", 96"x42"x36"